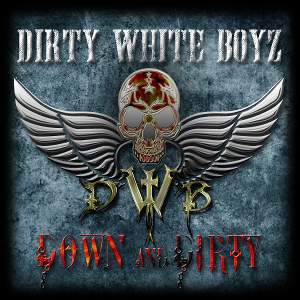 DIRTY WHITE BOYZ will release their debut album “Down And Dirty” through Escape Music on March 24th. 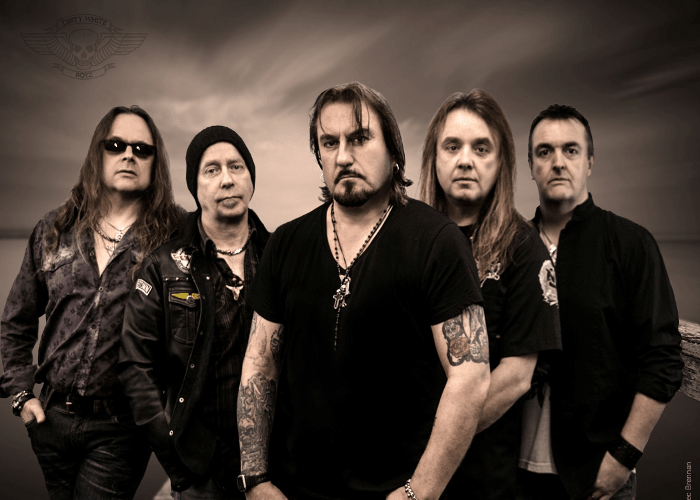 The band consists of veteran musicians: Tony Mitchell (vocal, guitar) from ex-KISS OF THE GYPSY / ex-KINGDOM OF DEADMEN, Paul Hume (lead guitar), Neil Ogden (drums) from classic rock bands DEMON / LAWLESS, Nigel Bailey (bass) from melodic rock bands BAILEY / LIFELINE / 3 LIONS and Jamie Crees (guitar) from LAWLESS. They have all come together to form an allegiance of AOR/Classic/Melodic Rock for this album, and each lending their style and craft to the dynamic songs. On this album, DIRTY WHITE BOYZ took all the ingredients from their rich history, Mitchell's raw, rock vocals & punchy thick riff guitars, Ogden's thunderous, rock solid drumming, Hume's flawless, majestic lead guitar licks and solos, Crees’s power riffs and twin lead, and Bailey's thumping, ground shaking bass lines, and has done harmonizing all of them excellently and effortlessly. The beginning was when singer/guitarist Tony Mitchell started writing and recording what was to be his 5th solo studio album in early 2016. He set out to return to his melodic/AOR rock style that was associated with him in his previous bands leading up to the raw classic rock style of KISS OF THE GYPSY and the heavy rocking KINGDOM OF DEADMEN. By the recommendation of Khalil Turk from Escape Music, the lineup was completed to make something very special with together.